The 14″ TV is up now. This one was a lot more involved. 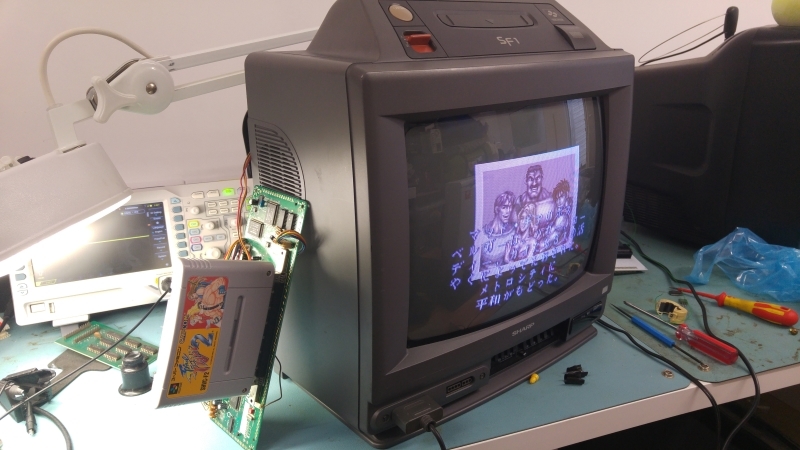 Before starting on this one I had tested the previous PCB with this TV so I knew for sure the TV part was operating fully. When powering this up I got no audio or video, just a black screen. Using the external A/V output also gave me nothing. I couldn’t find anything obvious visually on the PCB itself. 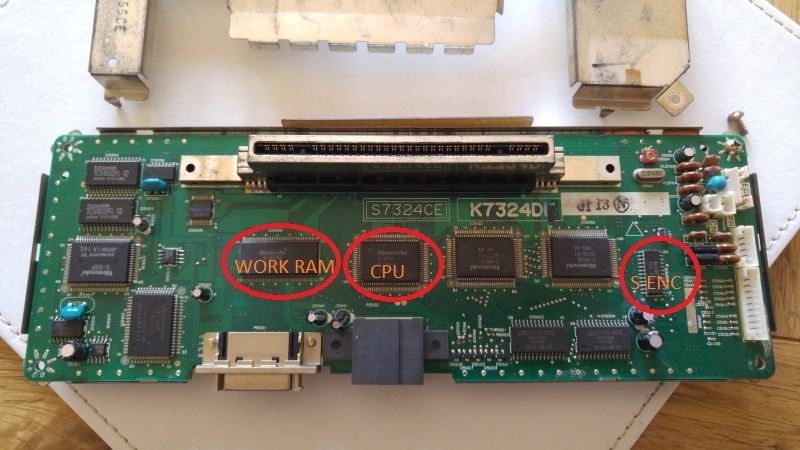 Ive read a lot in the past about SNES repairs and the CPU’s seem to be a weak point. I started prodding around the CPU with the scope and even though all the voltages and clocks looked good I could see any activity. I had a known working spare SNES which I opted to sacrifice for parts. I replaced the CPU and once again checked for signals. This time I had life but it gave up after a few seconds and still didn’t give me any output. This cycle was repeatable on resetting the machine. I next opted to replace the ‘S-WRAM’ (work RAM) positioned next to the CPU. Replacing this gave me audio but no video so at least I knew the game was running which was great to hear. 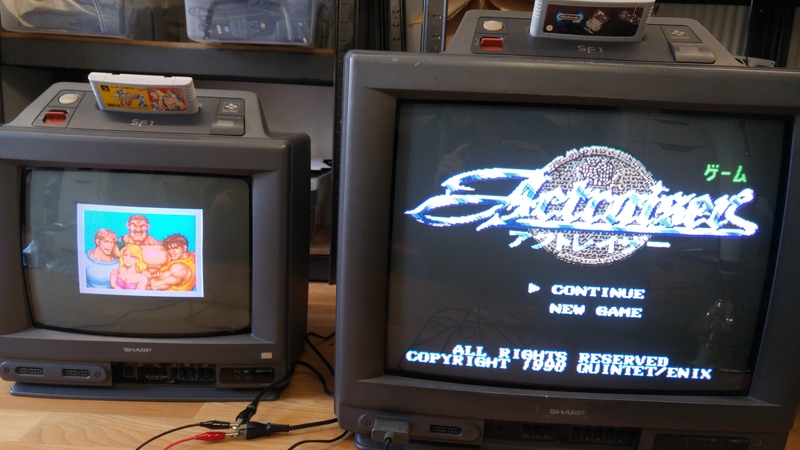 At this point I tried the external A/V connector again and got a good picture. Probing the ‘S-Enc’ chip yielded no outputs at all despite all inputs being as expected. I replaced this and everything came up good. Time to reassemble and reclaim some bench space. Thats both of these rare units fixed up.